Twitter hashtags don't support special characters like +, !, $, %, -, ^, &, *, etc. They do support letters, numbers and _ (underscore). - While Twitter hashtags are reported to increase engagement, the most efficient way to use them is through hosting and participating in Twitter chats. Here's a detailed tutorial on hosting a Twitter chat. - TipEvent hashtags (conferences, festivals, etc.) also work very well on Twitter. You don't need to actually be in an event to network with people through the official hashtag. Event organizers usually market the official hashtag very well, which means additional exposure for you if you use it. Twitter search results are ranked by most popular. You can switch to "All" results, which are filtered by date. 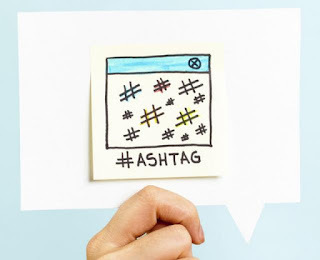 - Hashtagify tracks trending hashtags and shows "related" hashtags for any base terms you provide. - TwChat lets you discover, participate in, and easily host Twitter chats. It's also a useful tool for monitoring and archiving any hashtag streams. Like Twitter, Instagram hashtags don't support special characters like +, !, $, %, -, ^, &, *, etc. They do support numbers and _.
Instagram hashtags increase your following dramatically, especially if you use hot and trending hashtags. - The best use of hashtags on Instagram is to participate in hashtag games like #tbt and #MondayBlues. Both can make your Instagram posting very consistent (e.g., you have a theme for every day of the week) and increase your following and interactions.) In my experience, people are very willing to click these specific hashtags to see the photos of other participants. - TipLocation-based hashtags also work very well for Instagram. I use both abbreviated and full location names (#la and #losangeles, for instance). Instagram search results are sorted by "most recent". The only official rule for Google Plus hashtag character support is "no spaces". However, you may have trouble using any characters (which are not letters, numbers or underscore) because Google Plus will attempt to drop them from the linked part of the hashtag. There's no way to make a hashtag with numbers only (e.g., #2015). - Unlike Twitter and Instagram, "specific" hashtags (e.g., games, events, and locations) don't seem to work well on Google Plus. Instead, I try to let Google understand what my update is about by using descriptive hashtags (e.g., #marketingtips). 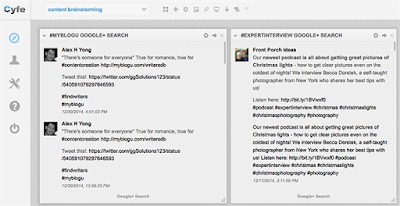 Google Plus hashtag search results seem to be ranked by popularity. 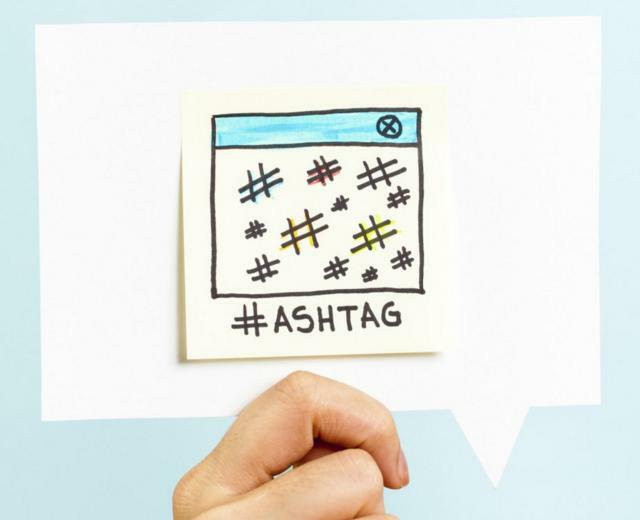 Moreover, search results are powered by "related" hashtags. Sometimes the result will even miss your initial search term. 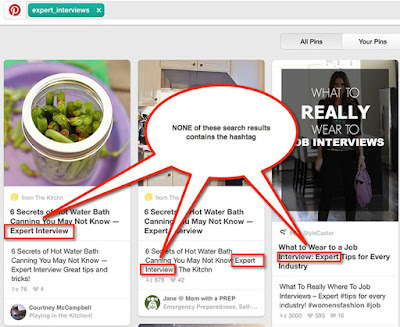 Pinterest hashtags have been quietly supported for some time. "Supported" means the word after the # is clickable (and only in the description). - The only reasonable way to use Pinterest hashtags is to use them for branding, especially for cross-promotion (to further spread awareness of your event, Twitter chat, etc.). 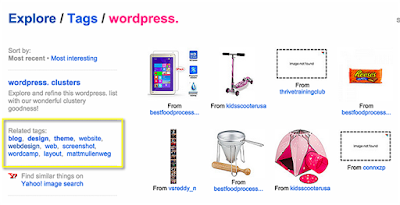 Tumblr hashtags work similarly to Wordpress tags. They will be linked only in the "tags" field. You can't create an in-text hashtag by simply adding # in front of a word. Here's a quick example: I am not really active on Tumblr, but I do post random updates from time to time. I treat Tumblr more as a curation tool rather than a social media network, so I've never cared about hashtags or if my updates get any visibility, which they didn't until I used a few hashtags in this post. That day I saw a sudden spike in activity on my pretty abandoned Tumblr blog! There are no limitations as to how many hashtags you can use on Tumblr, but only the first five hashtags you use are searchable. Your update will only make it to the search results if it's an original one, not a re-blog, so don't bother adding tags if you re-blog. - Any hashtag search will bring up users who recently used those hashtags for you to follow, which means that hashtags are huge for acquiring followers on Tumblr. Tumblr filters hashtag search results by "most popular" by default. You can switch this to "most recent". Furthermore, Tumblr has a “track your tags” feature which allows anyone to add hashtag search results to their "favorite search". There are no stats available as to which hashtags are tracked by more people, though. Flickr allows all sorts of symbols to be typed after the #, but seems to only link letters and numbers. While serving the same goal (e.g., organizing photos), Flickr tags and hashtags do behave slightly differently. - Clicking on a Flickr tag brings you to search/?tags= page, where you can filter by license, search for groups, and more. - Clicking on a Flickr hashtag brings you to /explore/ page, which shows related [hash]tags and the photos with the same tags (yes, that's confusing). These results are sorted by "most recent" by default, although you can switch to "most interesting." It's still not quite clear whether hashtags improve visibility on Flickr, or how different they are from tags, which have existed on the platform for ages. The fact that Flickr hashtags were announced and are now proactively supported in the iOS app may indicate that the whole point of a hashtag on Flickr is to make it easier to organize your photos from the iPhone. Facebook hashtag search is somewhat weird. Try searching for #california, for example. You'll likely end up landing on a Facebook page instead of a hashtag search results page. You can also bring up hashtag search results by clicking on any hashtag in your Facebook stream. Facebook's ranking algorithm is complicated. It seems to be a mix of lots of factors, including how closely you are related to the person posting the update, how often you interact with him/her, how popular the actual update is, etc. I don't use hashtags on Facebook beyond random cross-posting from Instagram. I have also seen quite a few of my friends become irritated when someone uses hashtags, so I guess it's too early to tell. With Instagram's help, however, hashtags may ultimately become widely adopted by Facebook users. Buy Facebook Likes. - Search results: Are sorted by "most recent"
Ann Smarty - Author - Thanks for this great article!